Rumors of a Z390 chipset have been floating around for some time, and last month’s release notes for a version of Intel’s Rapid Store Technology confirmed its existence. Now, the company has made the Z390 official by posting a full product brief on its website. The Z390 appears very similar to its Z370 predecessor. 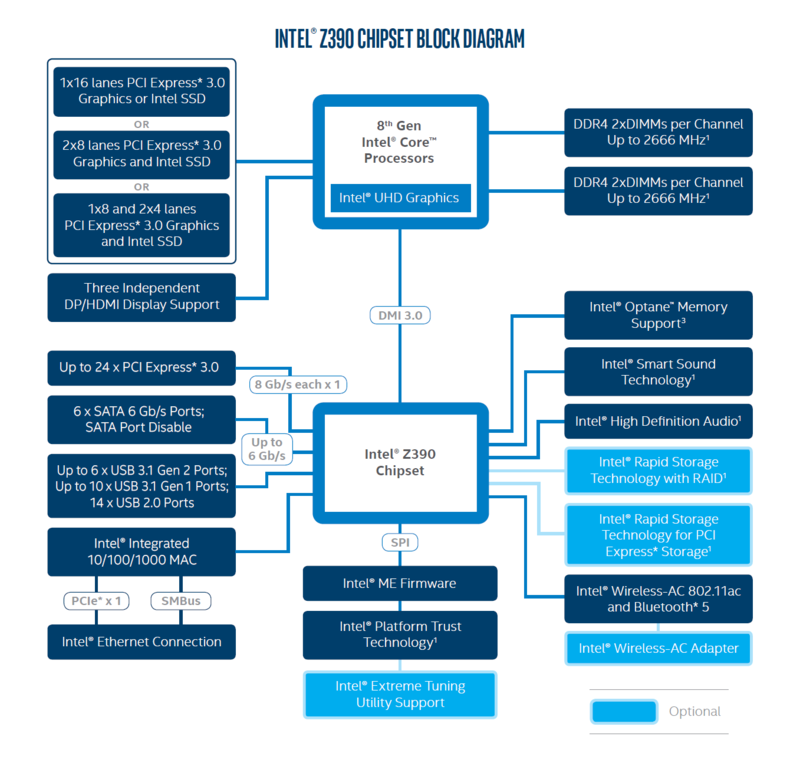 There are some new features, but these are also found in the recent 300-series chipsets— H370, B360, Q370, H310—which Intel launched alongside its latest Coffee Lake CPUs earlier this year. The new features include Wireless-AC 802.11 AC connectivity with gigabit throughput, thanks to the integrated Intel Wireless-AC 9560 MAC. There are also up to 6 x USB 3.1 Gen 2 Ports, 10 USB 3.1 Gen 1 (5 Gbps) ports, 14 USB 2.0 ports, support for 24 PCIe 3.0 lanes, Bluetooth 5.0, and support for RAID 0, 1, and 5 with PCIe NVMe SSDs. German PC OEM Bluechip recently posted a roadmap suggesting that the Z390 would be unveiled at Computex and will launch in the new line of motherboards releasing in Q3. 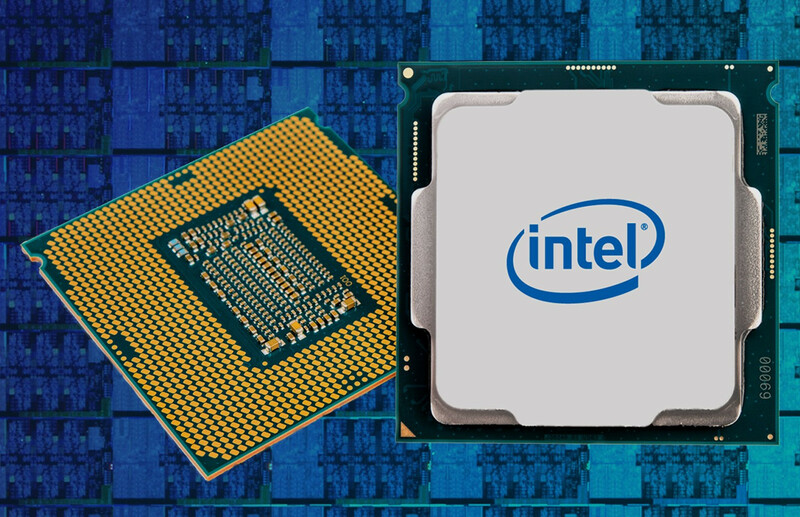 Intel’s eight-core, sixteen-thread Coffee Lake-S processor is expected to arrive soon afterward in Q4. The Z390 is expected to arrive around the same time as AMD’s Z490 chipset, which will come with improved I/O capabilities over the current-gen X470 mobos.